Communicate clearly with the micro-sized HS-930i2 in-ear headset that comes with in-line remote volume and microphone controls. 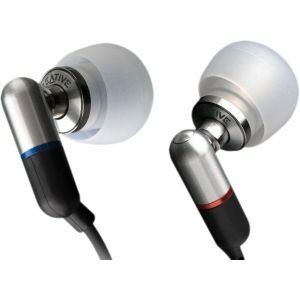 It features precision-tuned, 6 mm micro drivers in stylish aluminium metal alloy housing. These miniscule powerhouses deliver true-to-life reproduction of digital media playback with a deep, impacting bass, and are suitable for a wide genre of music, vocals or soundtracks from your iPod, iPhone or iPad. Voice calls never sounded so real until now. The package comes complete with soft, multi-sized silicone earbuds to let you personalise its fit and a soft pouch for storage and travel. 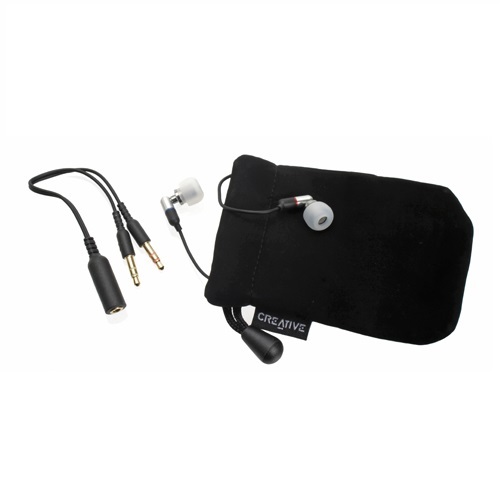 These buds significantly block out unwanted noise so that you can listen clearly in lower volume levels. Have easy control over your music and voice calls via the slim in-line remote controls. 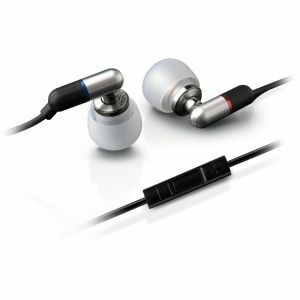 The functional in-ear design with soft silicone earbuds offers superb noise isolation, thus creating an ideal shield against engine noise while travelling in an airplane, for instance. Get the best fit for your ears. 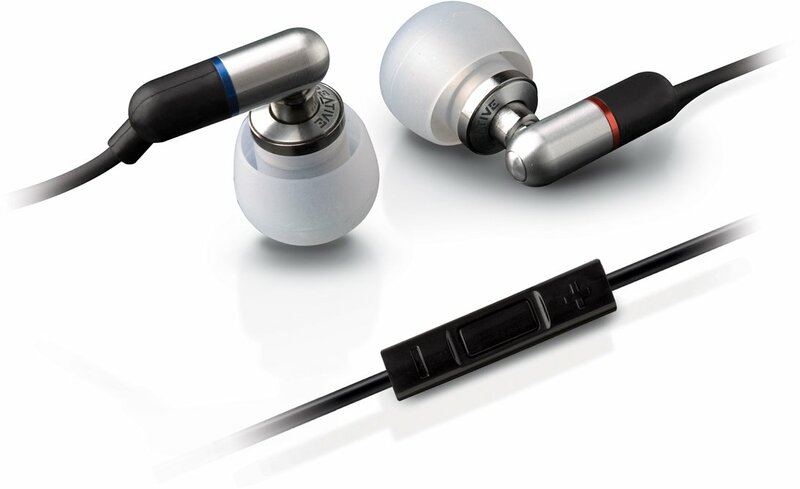 Choose from three different sizes of soft silicone earbuds that come bundled with the HS-930i2. Tailor-made to the exacting performance standards for optimised music playback and voice communication on Apple's digital devices. 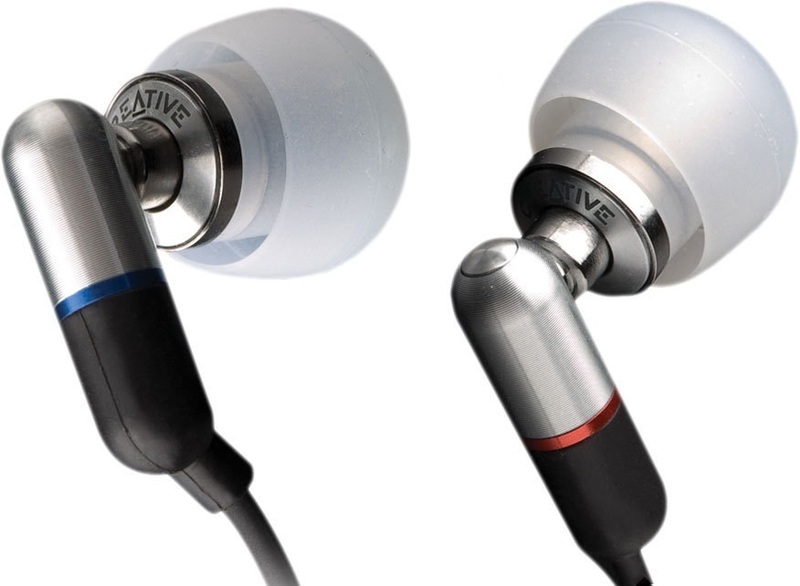 Creative HS-930i2 in-ear Headset with in-line Remote and Mic For iPhone/iPad/iPod?